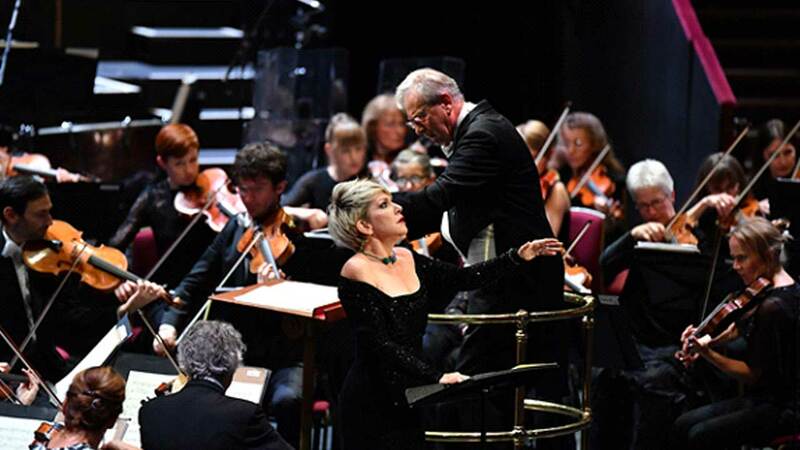 Joined by world-renowned soloists Joyce DiDonato (mezzo-soprano) and Antoine Tamestit (viola), John Eliot Gardiner and Orchestre Révolutionnaire et Romantique showcased a programme of works spanning Berlioz’s career at this year’s BBC Proms. The ORR were on their feet to begin the evening with the swashbuckling Corsaire overture, which was followed by DiDonato embodying the ancient exotic queen Cléopatra in the eponymous cantata La Mort de Cléopatra. The focus was then back on the ORR as they performed the famous ‘Royal Hunt and Storm’ interlude from Les Troyens, before DiDonato subsequently took on the role of Dido, presenting her heartbreaking death scene. After the interval, Gardiner and the ORR began Berlioz’s second symphony Harold en Italie without a soloist in sight, however Tamestit soon came to the stage, wandering through the orchestra and joining in duets with various players. The ORR were then back on their feet for the final movement of Harold to round off the evening.